Michael Nark explains the pros and cons of going public as a cleantech company. In December 2015, BuildingIQ, an energy management software company, commenced trading on the Australian Securities Exchange (ASX:BIQ). It was the only cleantech company to go public that quarter, raising $20 million in its initial public offering (IPO). 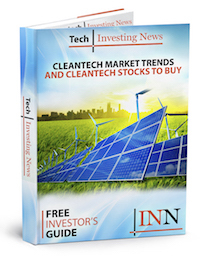 In an interview with the Investing News Network, company President and CEO Michael Nark explained the company’s decision to go public, articulating the pros and cons of a cleantech IPO. When asked about the company’s choice to go public, it was clear that Nark had put a lot of thought into this path. Ultimately, though, the company’s Australian roots and the unique fit of the Australian Stock Exchange made an IPO seem appealing. BuildingIQ’s recent experience of going public gave Nark some insight into the vagaries of the process, particularly for other companies in the cleantech sector. Nark cautions that “every situation or opportunity is of course different, but your business model must be ‘locked down’ and you must be able to show that it is scalable” before having an IPO. What’s more, “your team (board and management) has to be prepared and synchronized around the strategy and plan that you are taking to the market.” If a cleantech company fulfills all of these requirements, now may be a good time to go public. Cleantech investors would certainly laud this decision, as the past few months have been a slow period for IPOs in the sector. However, BuildingIQ’s IPO at the close of 2015 may have signaled a turnaround in this trend. Stay tuned to read more about Nark’s experiences helming BuildingIQ as the company navigated its first full quarter of being public. Want to hear more from Michael Nark? Stay tuned for part 2 of the interview. Also, don’t forget to follow us @INN_Technology for real-time news updates.